Dylan Bassett is a senior in kinesiology, exercise physiology, and pre-physical therapy from Salina, Kansas. 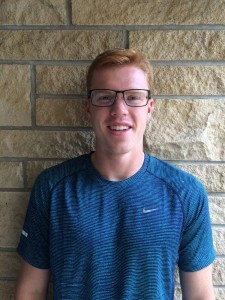 He plans to attend the physical therapy school at the University of Kansas in Kansas City. 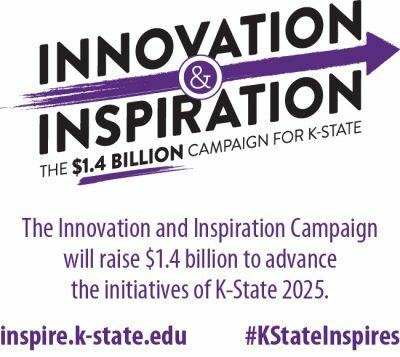 His involvement at K-State includes: vice president of the Kinesiology Student Association, director of university projects of the Mortar Board Senior Honor Society, Theta Xi Fraternity, Cadaver Team Practicum, and a volunteer with the Boys and Girls Club. Dylan has earned the 2016 American Kinesiology Association Undergraduate Scholar Award and the Dane Hansen Award. In his spare time, Dylan enjoys boxing and taught himself to juggle. Katelyn Gilmore is in the Master of Public Health program with an emphasis in physical activity. She has bachelor degrees in kinesiology and nutrition from K-State. Currently, Katelyn studies functional training, exercise behaviors, built environment and nutrition in Dr. Heinrich’s lab. 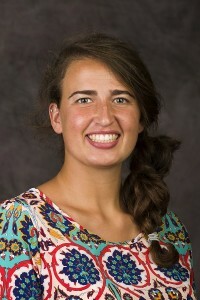 From Aurora, Colorado, Katelyn hopes to return to Colorado and teach, research and conduct community outreach. She is currently involved in the American College of Sports Medicine, the Kansas Public Health Association and the National Restaurant Association. Katelyn has been awarded the 2016 American Kinesiology Association Masters Scholar Award and the Green Action Fund award. She is currently learning Spanish, French and Italian and has visited over 25 countries. Katelyn enjoys rowing, in and out of water. Joshua Smith is a kinesiology doctoral candidate from Fishers, Indiana, and he works in Dr. Harms’ lab researching how the cardiopulmonary system limits exercise. He earned a bachelor’s degree in biology from Indiana University and a master’s degree in kinesiology from Kansas State University. 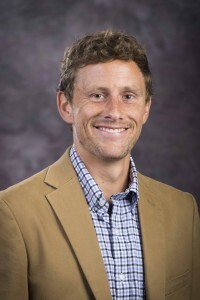 He has been awarded the 2016 American Kinesiology Association Doctoral Scholar Award, the 2015 Kinesiology Department Outstanding Doctoral Student Award and the 2014 Joint Commission on Sports Medicine and Science second runner up Graduate Fellow. Josh’s future plans include marrying his fiancée Bethany in October, graduating in May 2017 and either post-doc work or a tenure track position. He enjoys running and Hogan’s Heroes.